Why taking Maths A-Level 29 times is a good thing. 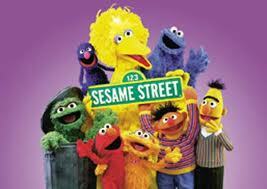 The Sesame Street gang are delighted Big Bird finally passed A-Level Maths. I took/barely scraped A-Level Maths and let me assure you once was bad enough. I’m sure a maths exam is less painful for those whose minds work in logical sequences and see the world as a series of floating numbers. 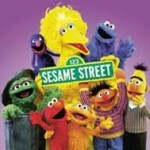 (My non-mathematical brain is imagining Sesame Street: ‘Today is brought to you by the number 7 and pi.’). It’s pretty safe to assume the kid who sat the exam 29 times is not a walking calculator. So why do it? Exams, even for those who are academically gifted, are stressful. Resitting the same exam 29 times sounds like a form of torture. The CIA should adopt it. ‘He cracked the 15th time we asked him about photosynthesis, Sir. Tomorrow we start with GCSE Latin’. To resit an exam 29 times you’d either have to have sadistic parents or a really strong incentive. I suspect the kid in question needed A-Level Maths to get her dream job or, more likely, to get into her chosen university degree. She didn’t shrug her shoulders and say, ‘Oh well, I tried’. She didn’t quit. It takes maturity, focus and perseverance to keep working toward what you want despite setbacks. If at first you don’t succeed, try, try, try, try, try, try, try, try, try, try, try, try, try, try, try, try, try, try, try, try, try, try, try, try, try, try, try, try and try again. It took me three attempts to pass my driving test, is my licence worth less than someone who passed first time? Is an ‘A’ worth less if it took you 2, 3, or 29 times to get it? Exams are meritocratic, an ‘A’ is an ‘A’. Young people are facing an increasingly competitive world where there are fewer job opportunities available to them. They have to fight hard to stand out. If you need A-Level Maths why shouldn’t you retake it until you pass? That shows grit determination. That’s not a bad thing, that’s not someone skewing the system or messing with a statistical graph of results. It’s someone working damn hard for what they want. It should be applauded. Good life skills, kid. « A glut of cookery shows. 1 Comment on Why taking Maths A-Level 29 times is a good thing. Hi Angela, first time I am reading your blog, an interesting post. I took Maths and Further Maths at A/Level. English was not my medium of instruction in my country, however, I did have the advantage of examinations in my native language being of a higher calibre. We were not allowed the use of calculators in exams and our subject matter was much broader. When it came to the English EdExcel curriculum all I had to do was 2 weeks preparation after 6 months of leaving school. English A/Level Maths even 10 years ago was more a question of preparation than a question of how mathematically gifted you were. If you analysed past exam papers for say 5 years, you’d see a pattern in the types of questions that would appear. There seemed to be a pool of questions which didn’t alter much. This meant someone with a decent foundation in Maths and took exams seriously would breeze through them. If British students too were diligent in their preparation then A/Level Maths would not be as difficult as people claim. – Exams are not getting tougher. It is students’ and their teachers’ preparatory work that is getting worse. – Perhaps it is something to do with government quotas for the number of teachers being trained and the pressure to obtain good Ofsted scores. – The exams I sat 10 years ago were not challenging. However, making them simpler is not the answer. Where I’m from, teachers, especially ones who taught numerate disciplines would be university graduates with good degree classifications who had a passion for the job. There was respect and prestige associated with it too. I was also lucky enough to have teachers who made Maths at O/Level and A/Level who made the subject come alive for me. It saddens me to think that poor teachers and incompetent governments will rob future generations of students of a subject as interesting as Mathematics.